Taurus Car Club of America : Ford Taurus Forum > Generation 1-4 Taurus & Sable Platform (1986-2007) > Maintenance and Repair > 2004 Taurus SEL leather seats in 2006 Taurus SE...direct swap? 2004 Taurus SEL leather seats in 2006 Taurus SE...direct swap? Would leather seats from 2004 Taurus SEL with side airbags be a direct swap into a 2006 SE? Will the airbag seats explode in my face ? My 2006 does not have side airbags so 2004 seats would not function. Not sure if they had seat belt pre-tensioners which on your 2004 would have been deployed with the head on collision. See pic. My car has the wires for side AB but it did not have AB seats. In the pic there is a yellow resistor (dummy load) that plugs into the side impact supply. You car might not have wires for side AB or it might. So new seats may have AB and if your car has the supply plug for that just plug in the seat. If the new seats have no AB then they will have the dummy load to tell the car something is out there and not just un plugged or out of service. Summary: if your car has a 2 wire supply with a yellow connector, it must be plugged into an AB yellow plug or a dummy load which will be yellow also. AB on non AB car is non issue. Last edited by chartmaker; 04-16-2019 at 10:10 AM. when you say seats will not function, do you mean just the airbags will not function? or will the seats in general just not work? I am kind of leaning with just swapping the seat cushions onto my current seat bases. My 2006 was the connector for airbags and the dummy load. Not sure about connecting to the airbag connector and it being a plug and play thing without a reprogramming of restraint module. The seat will move if you have the harness for power seats. Not sur I have that and can't remember the connector being there. I really don’t want the airbags. I just want to be able to install the seats from the 2004 into the 2006 without any Airbag light coming on or anything . 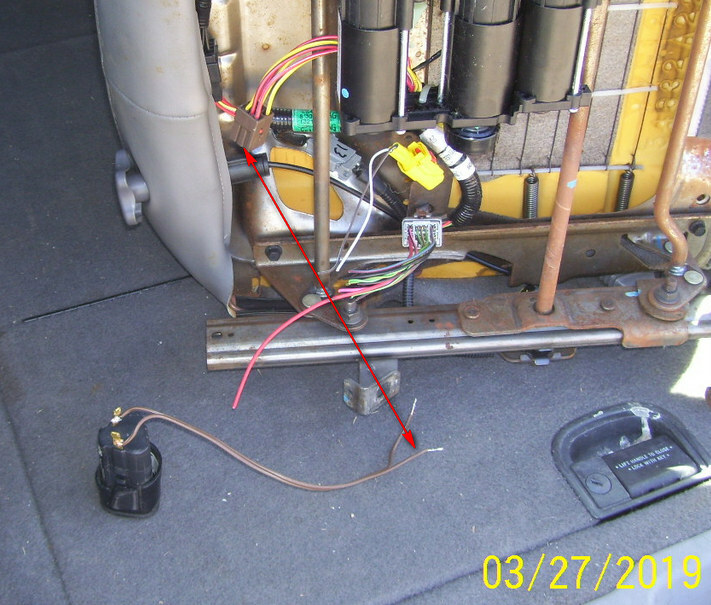 If your car has the yellow plug on 2 wires from under the carpet, it needs the dummy load. AB in the seat then do not matter, they are not hooked up. Static cannot set off the AB. They need over 1.0A of current. After reading some more on the forums, I think it may have to do with my seatbelt restraints. The car I pulled the leather seats from was in a front end collision. The airbag on the steering wheel is the only one that deployed. I don’t know why the airbags on the seats also wouldn’t have deployed. I think I may have to swap the seatbelt restraints from my original seats. I read that I may also have to swap the leather seats onto my original base, but that won’t work for me because I want the power seats. The old seats were manual. If someone can please chime in with some advice would be appreciated. For now I just disconnected both of the yellow plugs under the seat and plugged the dummy yellow switch into both. My airbag light is on. Is the car ok to drive like this? The airbag won’t go off if it’s not plugged in right ? Originally the drivers seat had the yellow plug connected and the passenger had the dummy. Last edited by Cfella; 04-17-2019 at 09:20 PM. 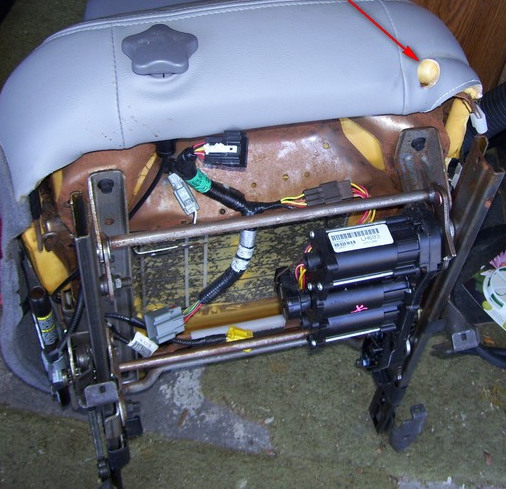 OK see the pic, in the very left near the bottom of the pic there is a cylinder and it will have 2 wires and the other end will be attached to a steel cable which goes around a pulley and attaches to the seat buckle. It is a "pre tensioner" and it is explosive and pulls your seat belt tight when the AB goes off. It must be replaced. Not sure if the pas side has one. The car's system knows the pre ten has gone off.